Pinus nigra.By Arthur Haines. Copyright © 2016.new England Wildflower Society.gobotany.newenglandwild.org (Accessed 3/2016). 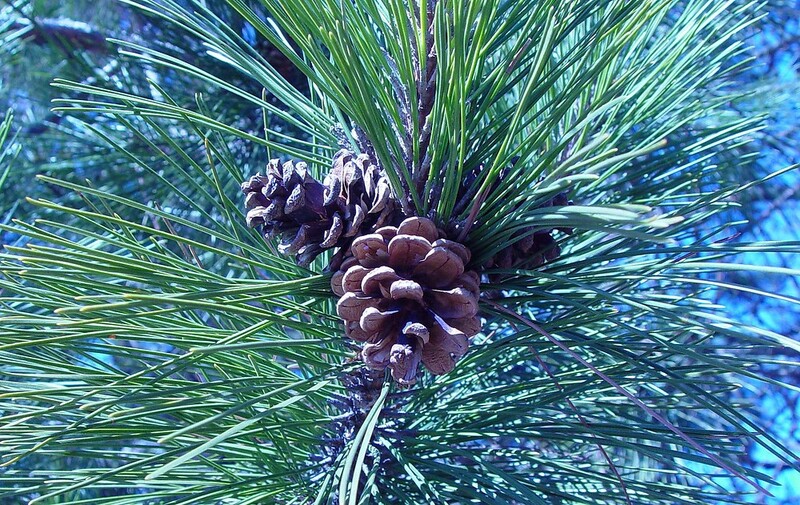 Pinus nigra is an evergreen gymnosperm tree to 30 m, erect, habit stout pyramidal, becoming broad or flat-topped with age, bark dark brown, furrowed. Leaves needle-like in 2’s, 9-16 cm long, stiff, sharp-tipped, but do not snap, persisting 4 years. Flowers: None. Gymnosperm. Male cones yellow, deciduous, clustered; female cones becoming 5-8 cm; scales about 2.5 cm long with a sharp spine on the upper side (umbo). The ridge across the scale (apophysis) is the only part showing when the cone is closed. Fruit: None. Seeds winged, wing about 2 cm long. Frequency in New York City: Infrequent in natural areas. Habitat: Usually planted, rarely if ever escaped, but occasionally found in naturalized areas along highways. Tolerates salt and alkaline soil, pH 5.5-7.5 (USDA, NRCS 2010). Shade intolerant. Notes: Susceptible to many fungi including: Armillaria mellea a root rot (Basidiomycotina), the fruiting body of this fungus is the brownish “honey mushroom;” Atropellis tingens (Dermataceae) stem canker causing blue-black stains on wood and the appearance of black fruiting bodies on branches; Cenangium ferruginosum that kills bark of twigs, the fruiting bodies appear in warty, brown clusters on dead branches (Sinclair et al. 1987).